WOW~~! finnally ! ive been waiting for this! thank you thank you sooooo much for this! i really like it! Nice picture, Like ur work 2. Very cute pic! Thanks for sharing. XD I love this picture. Thanks for sharing. 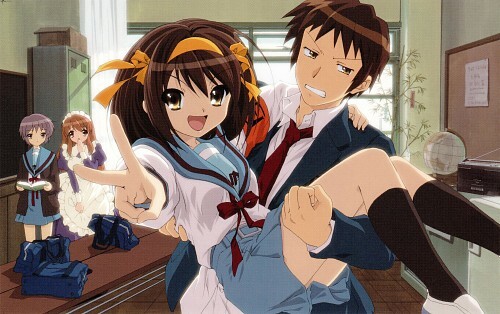 Alright, don't they look better together than Kyon & Mikuru? I know I'm not the only one who thinks that. Kono yaro Kyon. How can he make such a face while holding the Queen of Heaven! Oh, come on. She can't weigh that much, ya sissy. 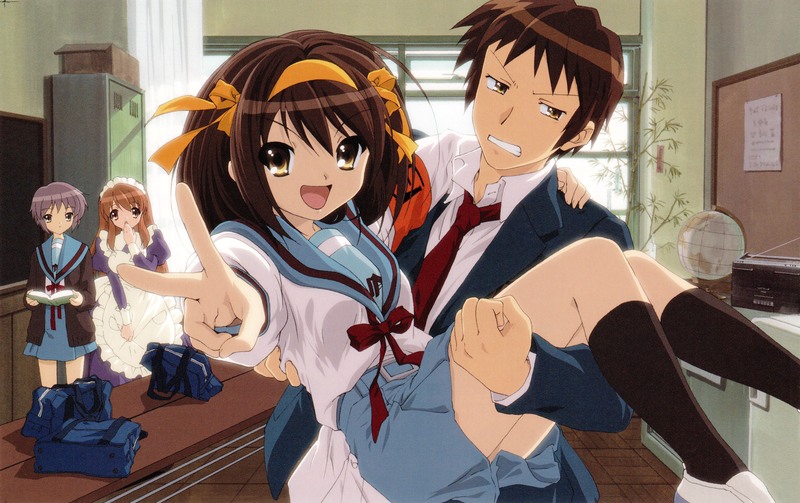 XD Kyon = WTF XD THANK YOU!